Starting Monday, Bay Area Rapid Transit, or BART, began to enhance public safety by mandating police and fare inspectors to work extra hours in the service’s busiest areas in order to “bolster their visible presence and enhance public safety,” according to a BART press release. BART may soon turn parking lots and vacant property into housing, pending Gov. Jerry Brown’s approval of a controversial bill. This request for transformative projects is designed to reach out to individuals and organizations that are not traditionally associated with transit agencies and partners. Mable Howard, as described by her daughter Mildred Howard, was a leading community organiser who successfully launched a lawsuit against BART in 1968. An above-ground train would have disrupted many small local businesses — “banks, hardware stores, a shoe store, an appliance store” — and divided white communities and communities of color across the tracks. BART has increased all fare charges by 2.7 percent as of Monday, according to a press release published Dec. 1. BART’s new 10-car trains are expected to roll out by early December despite failing a key safety inspection earlier this month. A new BART train failed a key safety inspection Friday, possibly preventing it from becoming operational before its Thanksgiving target. 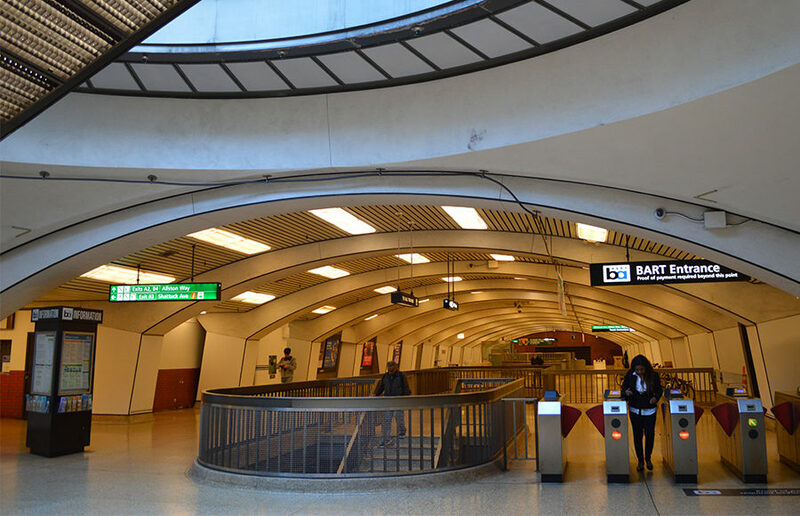 Early Monday morning, BART opened a Clipper-only entrance on the south side of the Downtown Berkeley station near Allston Way East after being closed for over a decade.